It's times like these that I really wish that I had a better camera, better lighting and some photo taking skills. Why? Because sometimes I really love the way my eye makeup turns out, but I feel like I'm not able to show you how vibrant the colors are, or how interesting the finishes are and I'm pretty disappointed. Somehow, what looks bright and dimensional on my lid turns out dull and flat on screen. Ah well, you gotta do with what you have! 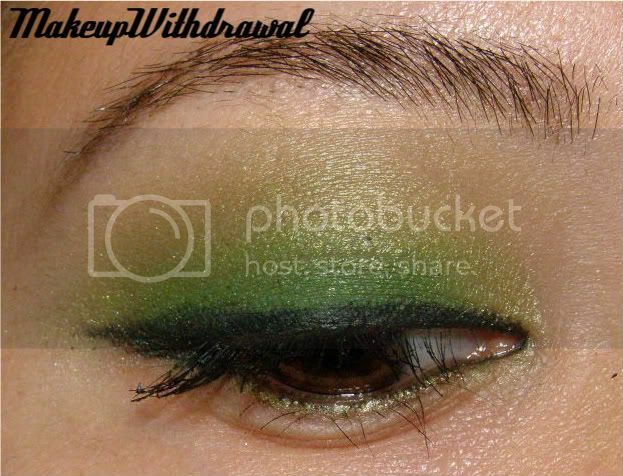 This look used a few of my new Shiro Cosmetics shadows- the greens of which I was particularly fond of. Now, I've realized that I've become pretty enamored with the color green lately. I used to think (foolishly) that green shadows would bring on the olive in my skin or something, so I stayed away. But now every time I see a green eyeshadow, I feel like I just *have* to have it. 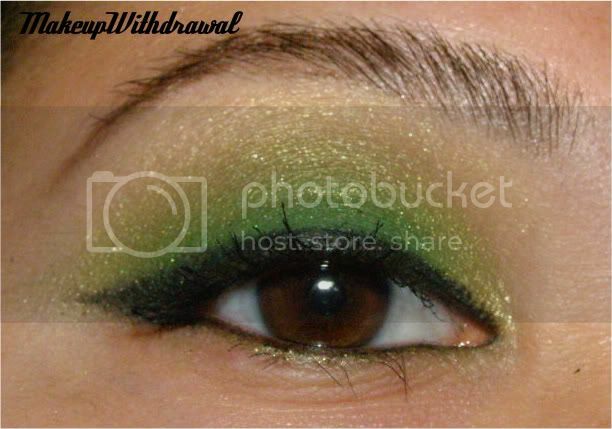 What are your favorite green shadows?